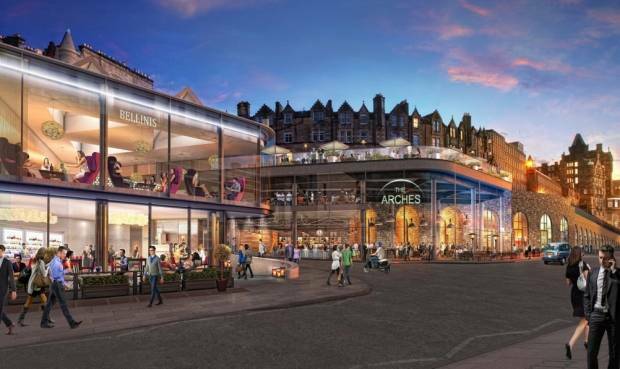 There’s an exciting new development in town, The Arches New Waverley! Thursday saw the launch of The Arches New Waverley, part of a £150 million development transforming the heart of Edinburgh’s Old Town. 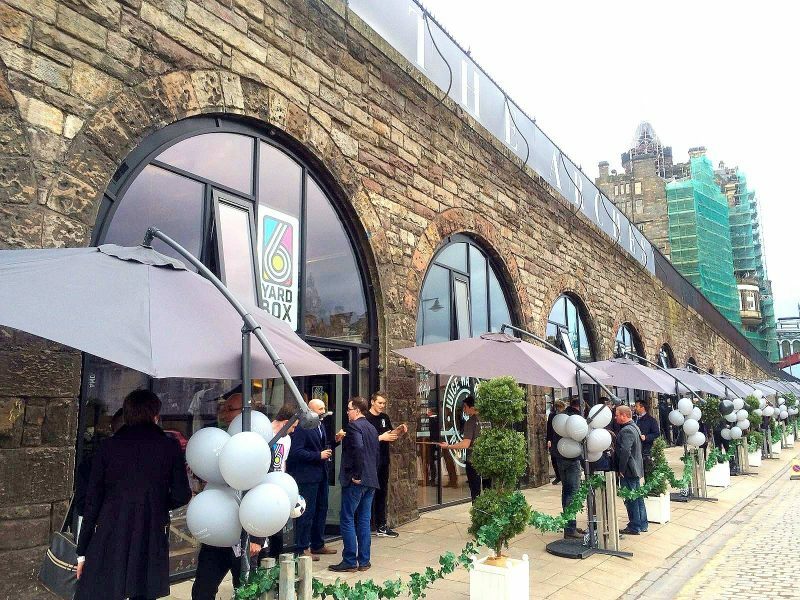 The redevelopment of the forgotten arches on East Market Street has created a new hub for business in Edinburgh, with each of the Arches showcasing vibrant, independent businesses from food to beauty to luxury serviced apartments. There was such a buzz at The Arches on Thursday, you could feel how excited everyone is to welcome this new development to our city. To only name a few is a challenge, but here is a selection of the exciting businesses you should go and check out on East Market Street. And if you’re not from Edinburgh, this new destination is right on the door step of Waverley Train Station so whether you’re popping through for the day or visiting for the weekend, there is no excuse not to stop by The New Arches! Arch 2 – Gannet & Guga. A Gourmet Sandwich Bar with exceptional tasting homemade food. Delicious sandwiches, soups, salads and more to discover. All meat is outdoor bred/free range and where possible everything is locally sourced. Arch 6 – YOURgb EVENTS. The whole launch night was put together by YOURgb EVENTS. An events company that are well known in Edinburgh for putting on The Aperol Spritz Garden and The Famous Grouse House during the festival. They have an eclectic portfolio of clients they develop unique events with throughout the UK and abroad! Arch 6 – Buff Concept Store. A stunning scandi-vibe nail studio with some of the best nails I have seen, check them out on their Instagram below to see examples! The girls are really lovely too, pop in and check out what independent retailers they’re showcasing in the studio. They currently have L:A Bruket, a Swedish men’s skincare brand. Arch 10 – Elk & Wolf. Inspired by owner Katie’s Australian roots with a rustic, boho appeal. Beautiful, unique pieces for you and your home that you won’t find on the high street. Arch 11 – Lauren Gollan Academy of Make-up Artisty. Fancy getting your makeup done in a stunning studio in the city centre by pro artists with more than 10 years experience in the industry? I wouldn’t say no either. Lauren has nailed it with the look of the Academy, it’s stunning. Pop in for a pre- night out make over/ wedding make up/ hen party or even take a master class. Arch 12 – Baba Budan Coffee. Or in other words … Heaven. Brand new independent coffee & donut shop, using coffee not found in Edinburgh yet and making the most insane, daily fresh, homemade donuts. To be honest I don’t know why you’re still reading this, you should be on your way. Go Go Gooo. Some homemade honeycomb on top of salted caramel on the menu today. We also have Chocolate Hazelnut, and a Vanilla Custard. Arch 15 – Chop House Bar & Butchery. A casual dining brand serving the very best beef in a unique sharing style. Keep up-to-date with all the new happenings over on The Arches New Waverley Facebook Page and let me what you think know if you visit in the comments section! Previous Post Dry Body Brushing 101 – From Celebrities to Cellulite.